Another few months have flown by, and it’s well past time for an update! Since we last wrote we’ve been to Manila, then up to our north Luzon airbase, back to Mindanao, back to Manila, and now in Palawan (for the last couple months). (This is nothing unusual, by the way!) 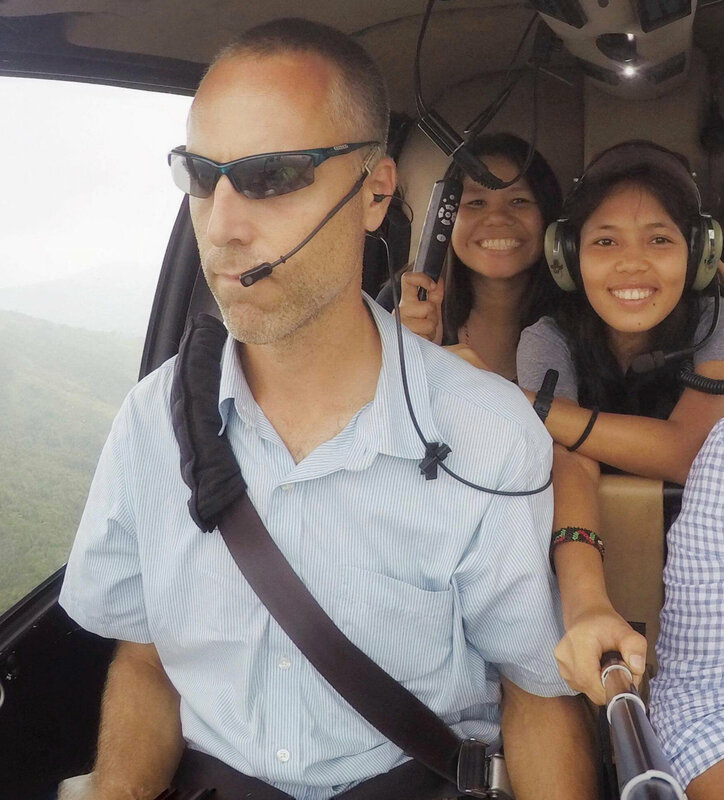 We’re here in Palawan while Daniel (our helicopter pilot) is in the states for a couple months. Dwayne’s been busy fixing EVERYTHING it seems, from aircraft to vehicles, to tractors and equipment. He also finished the annual inspection and requirements for the Cessna 206, and put the new tail rotor blades on the helicopter. We’re thankful for our newest mechanic from Iloilo, who’s been a big help and Dwayne’s been mentoring him as they work on all the projects together. 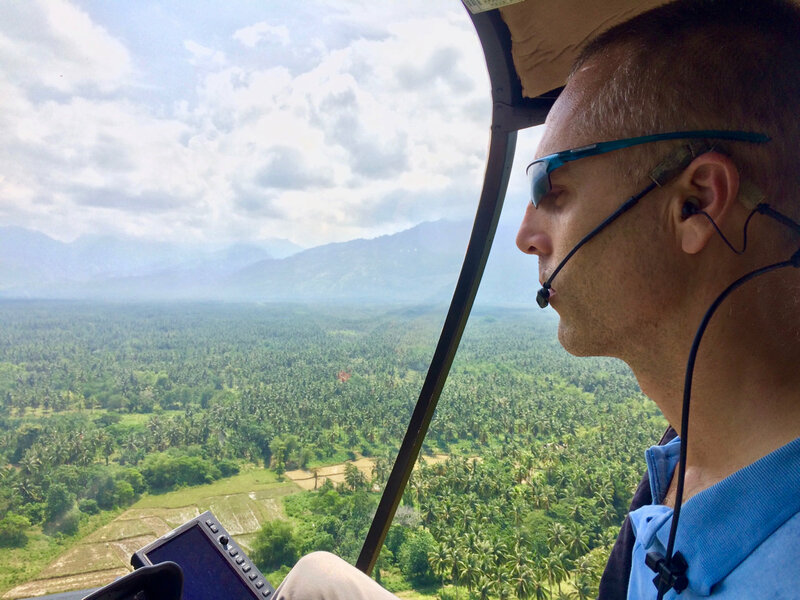 Dwayne’s also been busy with many medivac flights in both the Twin airplane and the helicopter. Loading up the Twin Commanche in Mindanao, getting ready to fly to Luzon with some missionaries. Dwayne on his way to pick up patients in the mountains above Brooke’s Point. This was a very sick baby with Pneumonia from Mapun island that ended up in the NICU for several days, but praise God with prayers she survived! 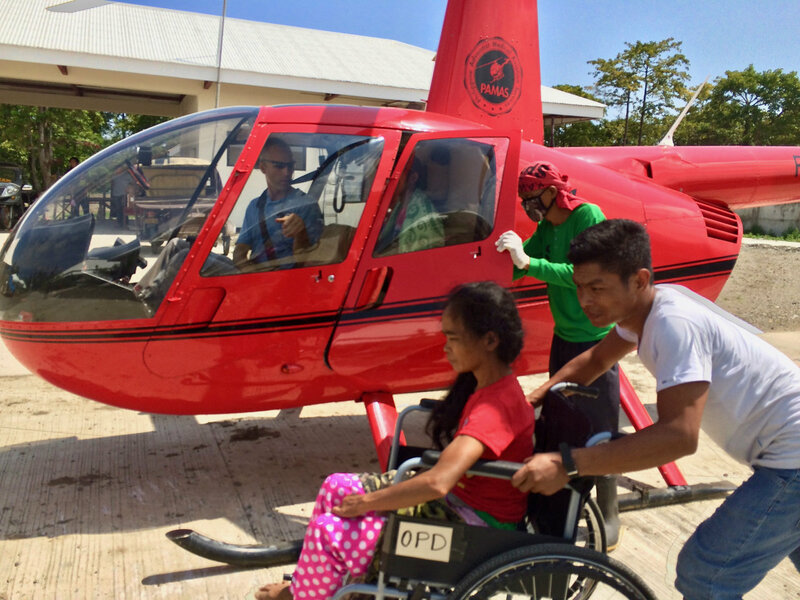 Hospital personnel in Broke’s Point whisk the two patients to the emergency room that were air-lifted from the mountains. 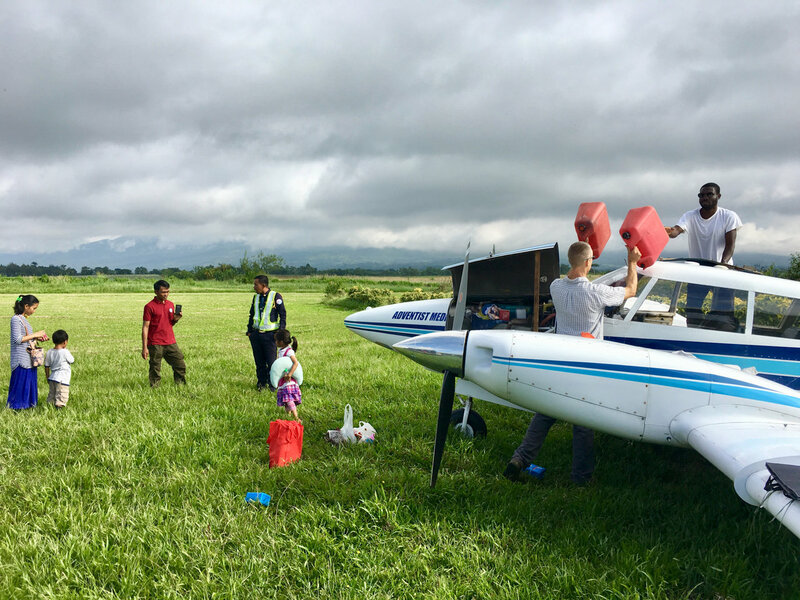 We praise God that the recent typhoon that hit northern Luzon, was just far enough north of us that it did not cause any damage to our airbase. 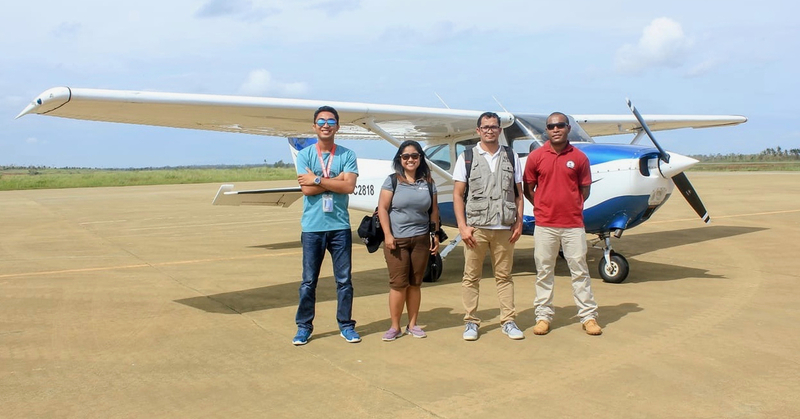 Jay and Jed, two of our newer pilots, did arial surveys with the pastor from Palanan (on Sunday) and with ADRA (on Monday), immediately following the storm, to assess the damage on the east coast and northern areas. Thankfully, it was not as bad as expected, but there are still many lives that have been affected, and the death toll is still rising. If we had a helicopter based there we would no doubt be very busy right now helping with the relief efforts! 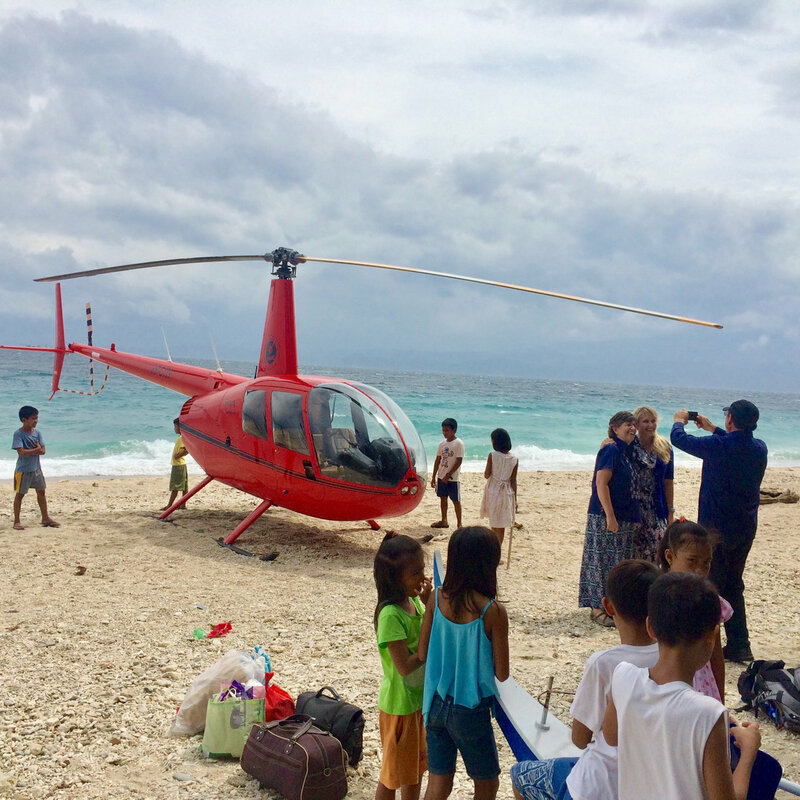 We continue to pray that God will provide a helicopter for that large and mountainous island of Luzon, which is in line with a majority of the Typhoons that come through the Philippines. Praise God little damage was done to the north Luzon airbase. 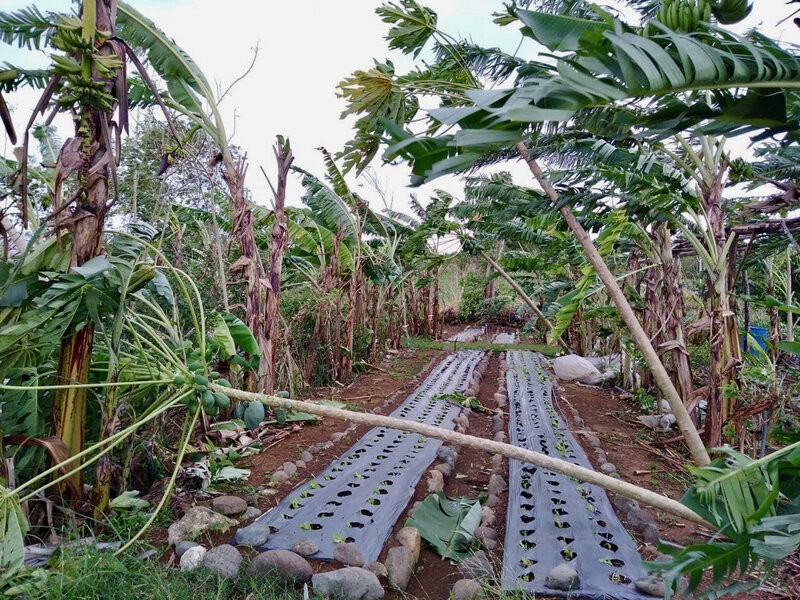 This is the garden next to the hangar with a few papaya trees down. As always, it’s encouraging to see all that’s going on here in Palawan. 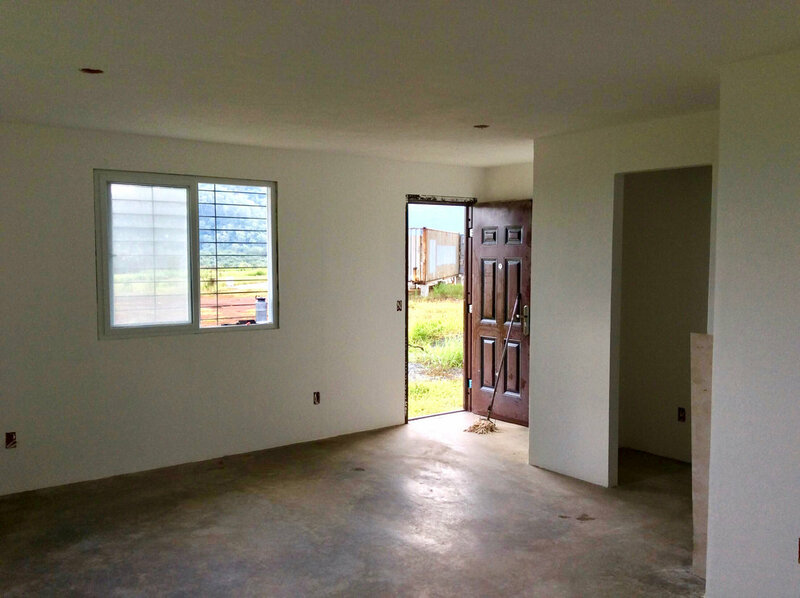 Sean and Pris continue to do an amazing job of keeping this diverse and busy project moving forward, even with two small children and limited funds! 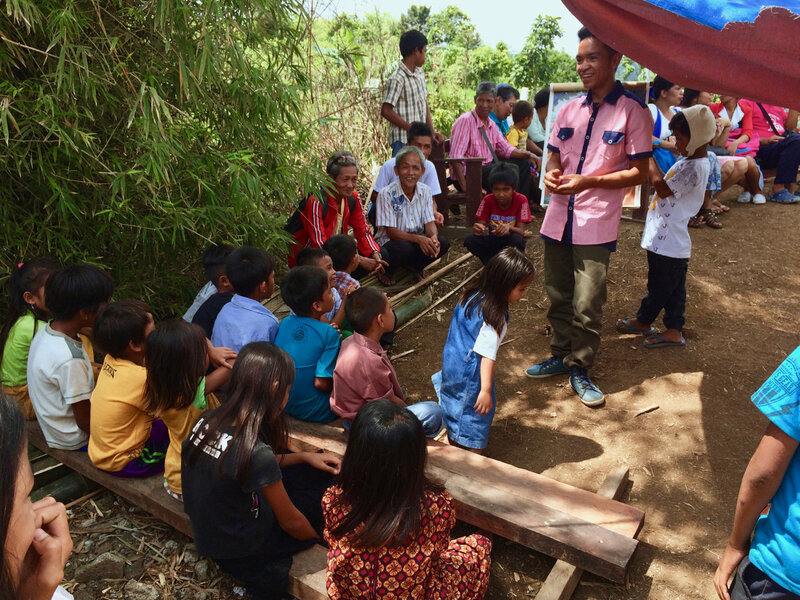 They have several new teachers and Bible/health workers since last we were here, and plans are being made for possible expansion of the schools into two new mountain areas! I’ve been helping with the legal work of getting the schools registered with the government. This is a massive project, and we’ve only just begun! We’re so thankful for the people that God has placed in our path the last few months to help us with this legal work, and we believe it is a direct answer to prayer. However, please don’t stop praying, because we still need a lot of help, and it seems almost impossible to accomplish without someone who can help us full time for the next year, at least! We know God can do it, and we’re encouraged because of what He’s already done to give us direction with this process. I’ve also been hosting and planning for visitors and mission trip groups that are coming and going (in all 3 projects). We really enjoyed the visit of a potential missionary family from Tasmania who came last month. And we have several more families, groups, and new volunteers coming in the next month or so. Even though we don’t have proper facilities, and hotels are far away, God always works it out one way or another and we enjoy the visitors so much! Our recent visiting family kept themselves entertained in many ways. Here they are catching a ride with our neighbor who was hauling supplies back and forth across the creek to take to the market. We loved how the visitors were willing to do anything, whether it was wash the cars, clean the house or see patients in the village! 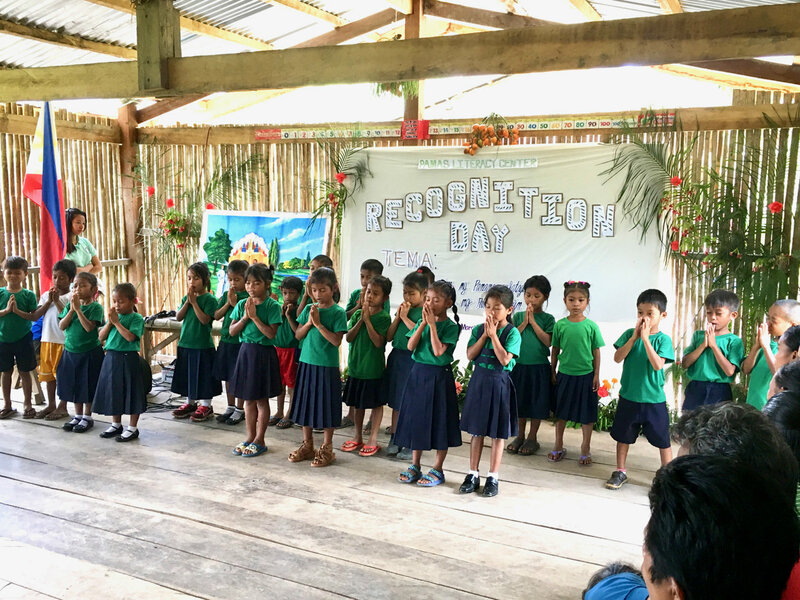 One hundred precious children are being taught of God’s love daily in the Karusuan school. Their parents have classes too in the evenings! Kabulnukan mountain school is also growing, with 70+ students, handled by the faithful missionary family there who have 4 boys of their own. What dedication these mountain teachers have with all the responsibilities and challenges, not only for the schools but the churches and patients too! 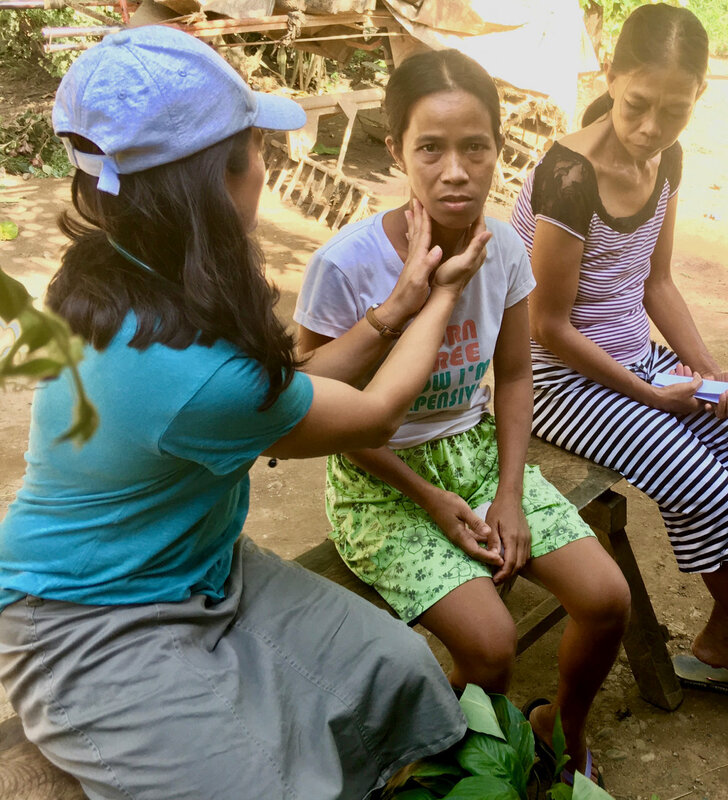 We’re so thankful for their focus on the spiritual growth of the students, and their effort to incorporate practical health habits and agriculture. 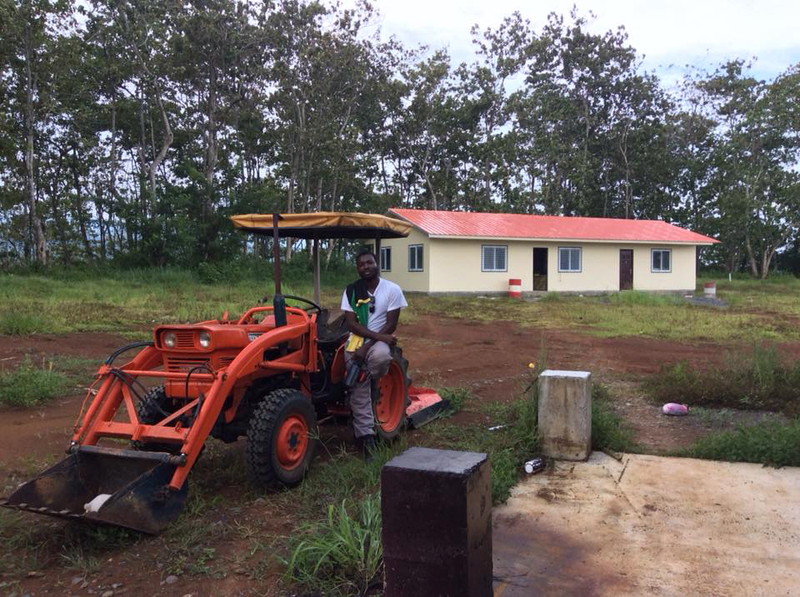 We’re so thankful for the recent donation of a generator and sound system which allows the missionaries to have worship over loud speakers every morning and evening with the students and their parents each in their own homes! 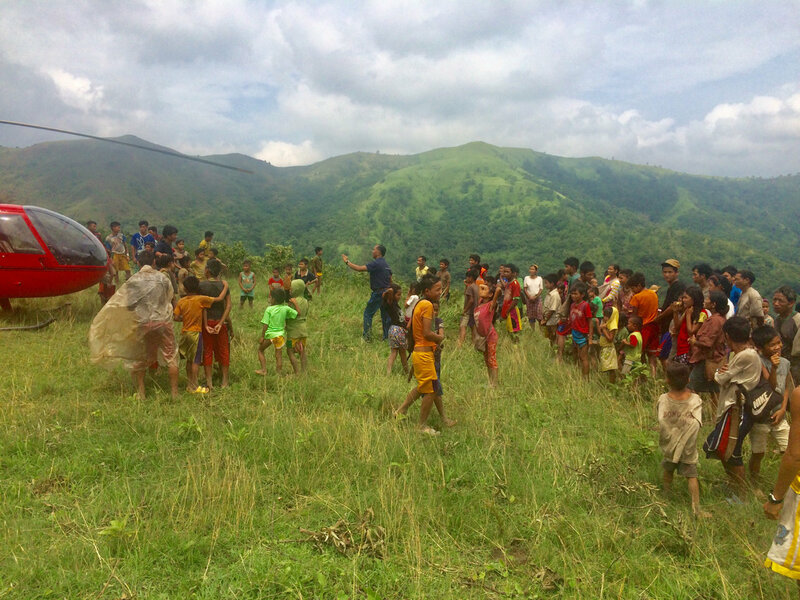 The houses are scattered all around the mountainside, so it’s too far for many to travel back and forth for morning and evening worship with the missionaries. The students use their Bibles during the worships and they help their parents by reading the verses (since most of the parents are illiterate). They also sing along with the worship songs that they’ve learned at school. The teachers may be young but they are hardy! 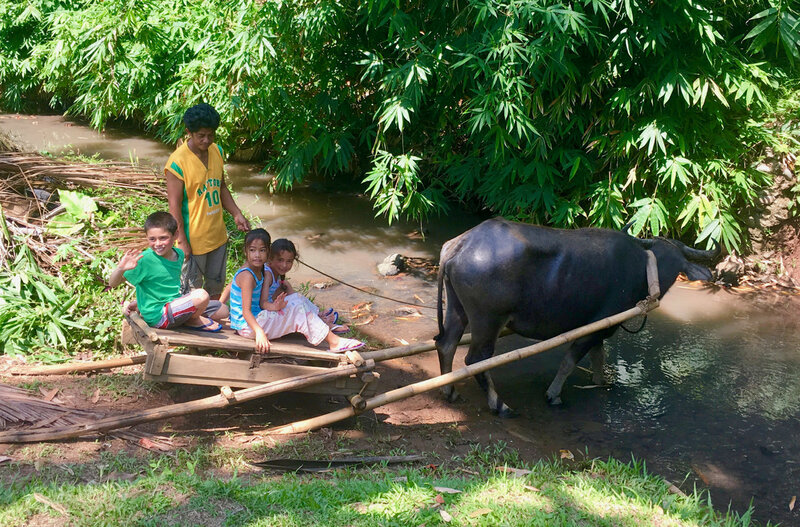 They cross 5 rivers to get to their school! Another joy we had recently was visiting the newest church plant in Singkab, with our longest serving, local Bible worker, Brother Nitz. 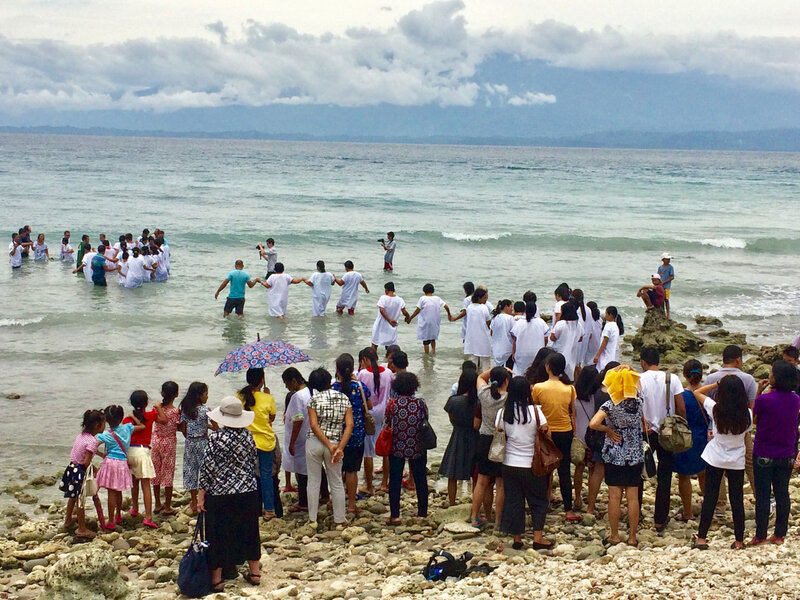 What’s unique about this church plant is that it was planted by the Palawano native church members themselves, who are from another church plant of Brother Nitz’s in the nearby village of Malanap. 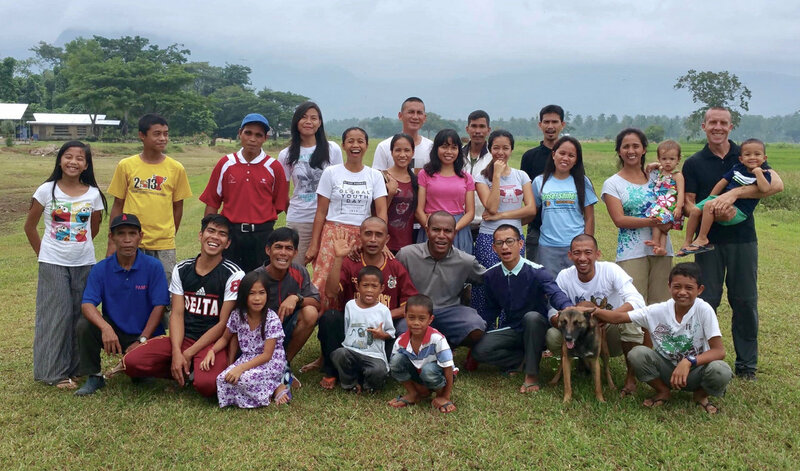 A couple years ago we were able to visit Singkab at the end of their first evangelistic meetings that they held there. 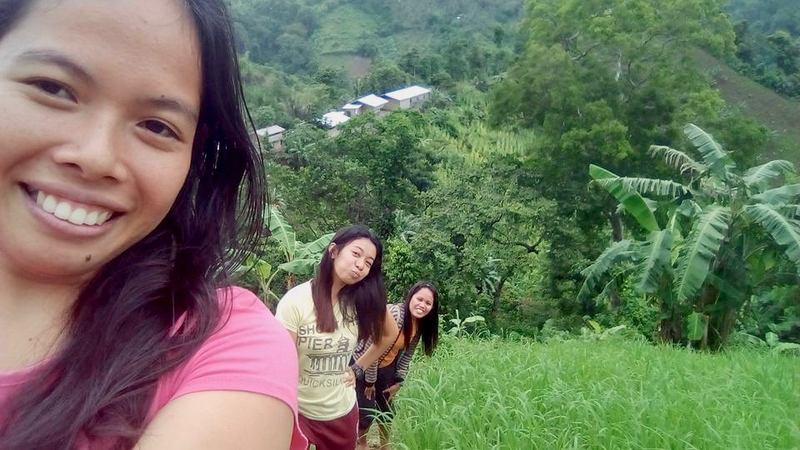 For two weeks, these Palawano “missionaries”, along with Brother Nitz and family, had been hiking 3 hours up a steep, rough road every afternoon, holding children’s programs and adult programs in the evenings, and then hiking back down in the dark every night, often reaching home after 11 p.m.! They had a baptism that last day while we were there (2 years ago), and all but a couple people are still attending the new church today! 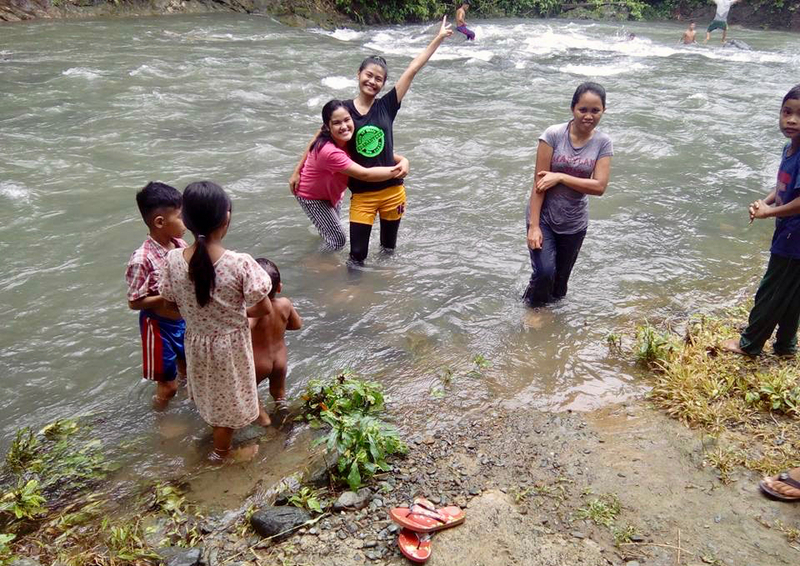 The Malanap church members take turns going there every Sabbath to help nurture the new believers. We see this method of getting new believers involved immediately in outreach to be very effective! 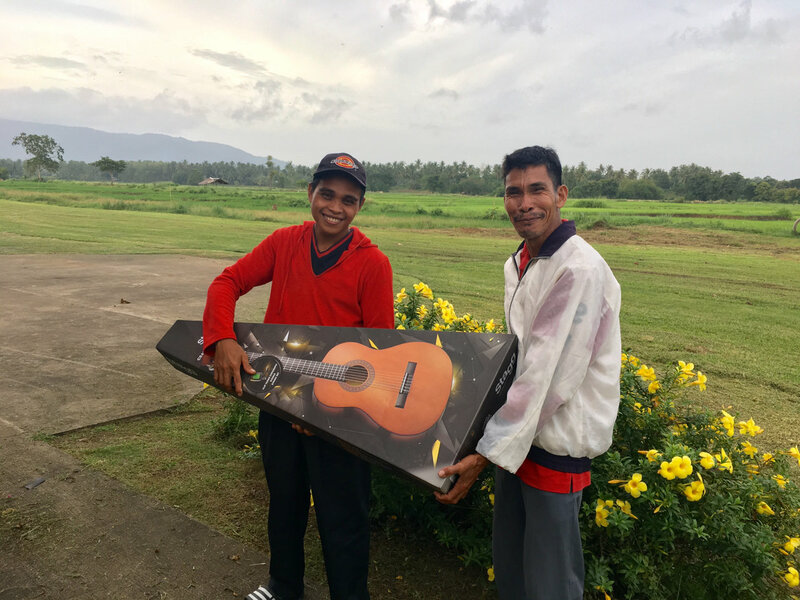 Brother Nitz with his new partner, Pedro was so happy for this guitar, a recent gift for their church plants, that he couldn’t stop smiling and shaking my hand! Sabbath school at Singkab, lead by the youth. 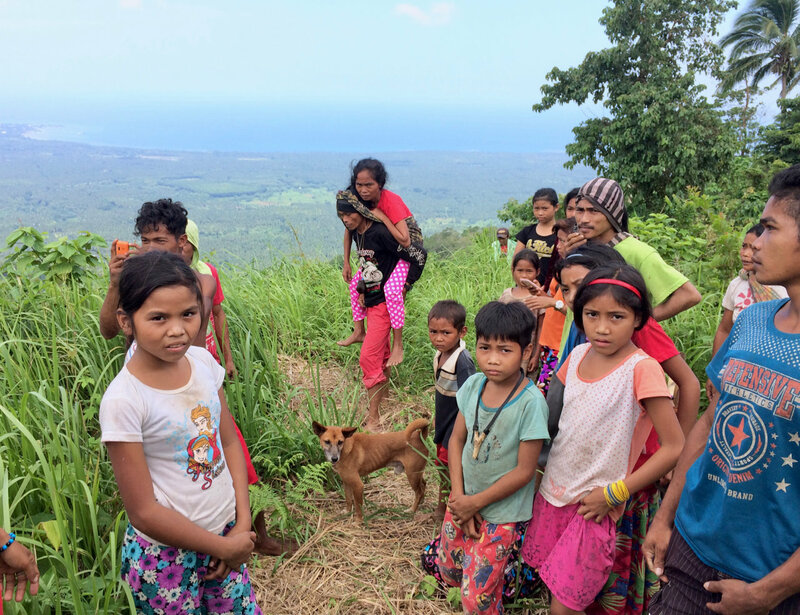 This village in Mindoro first heard the gospel through an AWR program. Some of the happy medical mission team, whose prayers were answered for a flight out. 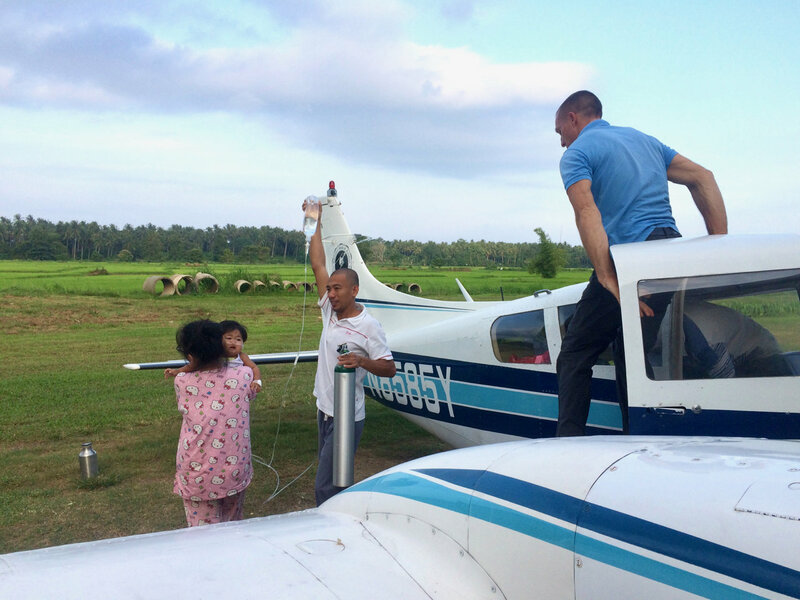 Please keep praying for the plans we have for radio stations at our Palawan and Luzon airbases. 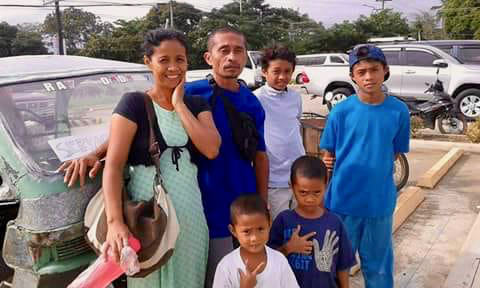 Though it’s been slow, we are encouraged with some recent progress, such as getting a computer and other equipment for the Palawan station and learning more about the laws and various opportunities in radio licenses. We’re working together with the Palawan SDA Mission to get approval for a radio station in Brooke’s Point. This has the potential of being a great witnessing tool to many people, as there are few radio stations and people also have a lot of time to listen. There are now audio Bibles available in Tagalog AND Palawano and that will also be a great resource we can use! 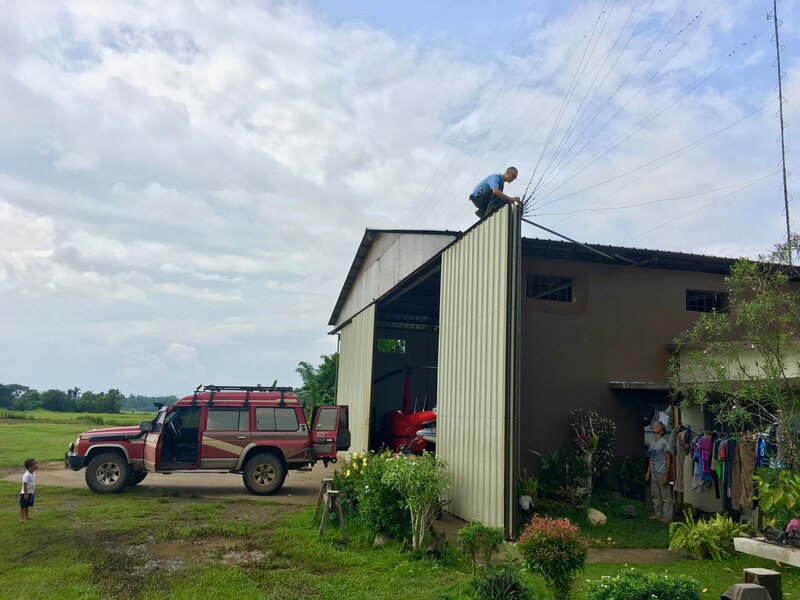 We already have a radio tower on the hangar in Palawan, just waiting for the rest of the equipment to get the radio station going again after many years! Our time in Palawan is rapidly coming to a close, and then we’ll be traveling again for the next couple months (between all three projects and Manila). I’m so glad that our permanent home is in heaven waiting for us! 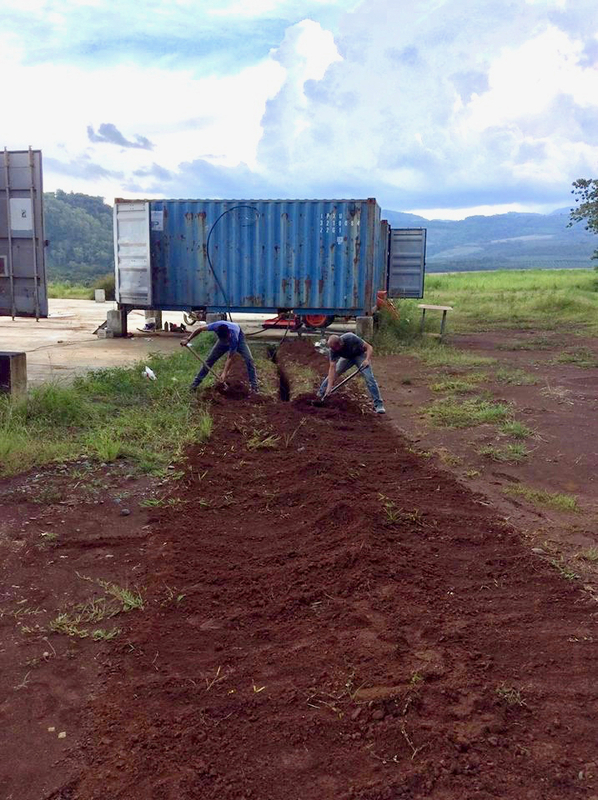 And I’m also glad that our next temporary home (a guesthouse next to the future hangar) in Mindanao is making good progress with our faithful volunteers working hard on it even while we’re gone. 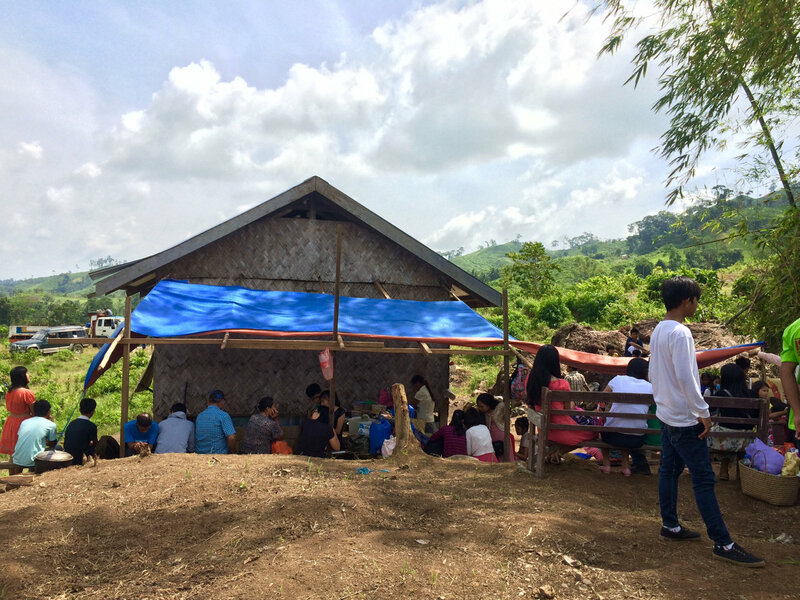 The guesthouse in Mindanao is making good progress, thanks to the hard working volunteers! Now that it’s getting painted it looks like a real house! We pray for each of you, our friends, family and supporters and we thank you so much for your continued prayers and support for us and this ministry!